Hey guys! I have noticed recently that the key inspiration for me is the material. The idea of sewing a warm infinity scarf came to me after I bought gourgeous wool fabric of mustard color. Having roughe jersey in my closet I came up with noodle necklace and braided summer bracelet. This time I have stumbled upon leather pieces on sale and got myself a few. 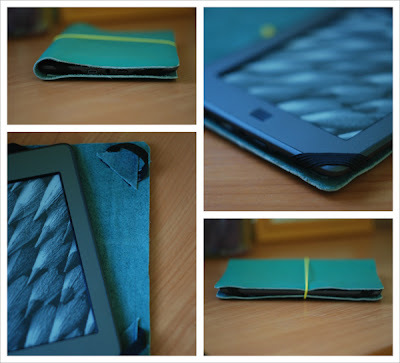 I have plans for all of the leather pices, but so far I`m gonna show you how I made a leather case for the Kindle Touch 3, which I got for my birthday. Step 1. Cut out with a paper knife a piece of leather. Size: 10.2 in x 7 in ( 26 cm x 17.5 cm ). Step 2. 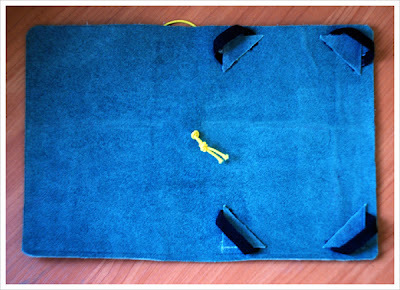 Foldyour piece of leather half length wise and mark the center. Make a small hole with a needle. Step 3. 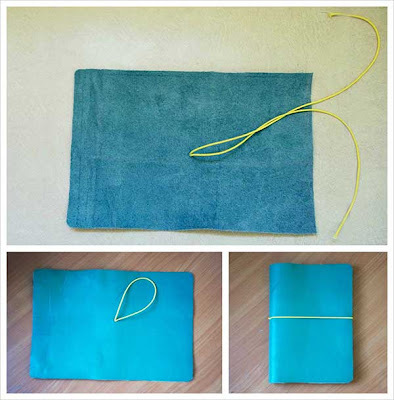 Cut approximately 11 inches (26cm) of elastic, fold it in a half and put through the hole. You will have a loop of elastic on the front of leather piece. Adjust the size of a loop and tie a knot at the ends of elastic to fix the loop. Step 4. Cut out two rectangles of leather in size 1.2 in x 1.2 in ( 3 cm x 3cm ). Cut each rectangle in two cornerwise. In that way you will have four triangles. Cut 4 pieces of elastic 3 in ( 8 cm ) each. Step 5. 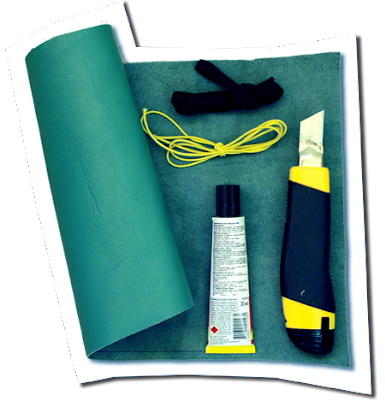 Glue the strings of elastic to the leather triangle in the way shown at the image. Adjust and glue the leather triangles with rubber loops at your leather piece, according to pattern. That`s it! Your leather cover for Kindle is done and ready. 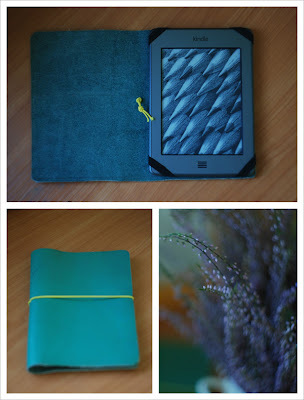 I think of making such cover for my mom`s e-book and my friend`s iPad.